As someone who loves the taste of fish, but not the smell, what can I do about it? Let's admit it. If fish didn't smell so bad, a lot more people would appreciate it. It's highly nutritious. It's rich in micronutrients not/very rarely found in other foods, it's high in protein, it doesn't cost much, plus there's a million ways to eat it since you can eat it raw with little to no health risks. And it's absolutely delish. But every time I make salmon croquettes or seared tilapia fillets or just a simple grilled tuna and cheese sandwich, my entire apartment smells like fish for a good 2-3 days and there's no way for me to get the smell out. My friends have asked me if a rat died in there. Pls ERA. Fish shouldn't really smell like fish if it's fresh enough. I typically buy fresh-frozen and don't really have issues with the fishy smell. 1. Get this for your kitchen and dining room. 2. 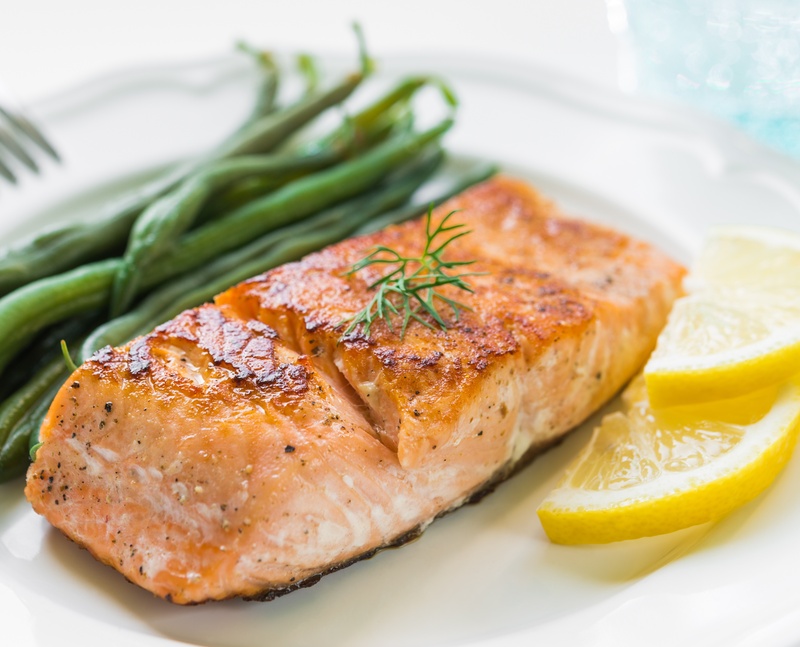 After prepping fish, while cooking, wash your hand with water, soap, rinse and then rub a lemon over your hands and rinse again. 3. The environment can take one more for the home team, so throw away and seal the disposable aluminum foil pan you used to bake the fish, and the paper plates and plastic forks you used to eat it as well. Oh, toss the lemon in there for good measure. That’s what I do and I have never had odor issues in the kitchen. That’s just how I do things, maybe you can find a better way, that’s cool too. I'm not a seafood guy. But when I eat fish it's good sushi or Sezchuan. One is super fresh, the other has a spice profile that prevents the stink. Fish shouldn't smell "fishy" if it's fresh, it should smell like the ocean or like nothing at all. So, maybe try a different supplier if you can. If you're making salmon croquettes with canned salmon there's not much you can do about it as the smell is a product of the overcooking during the canning process (same with tuna). Also, as a general piece of advice. Don't eat tilapia. I can't sleep and read the title as "the taste of flesh but not the smell"
you don't have a range hood over your stove? Soaking the fish in milk for 20 minutes before cooking can help with the fishy odor or taste, but I don't know if that will also help your apartment smell. I dunno if it works but I cook a lot with Curry in general. Maybe by doing so the cooked curry could help mask the fish smell? I must admit I do buy canned tuna, which smells the worst. Probably cuz of the preservatives and whatnot. because of a health risk or because it's easy to do better? Well, both, really. But 99% of commercial tilapia is farmed in really terribly unhygienic conditions in Asia and their major food source is the excrement of other tilapia in the same tank. See my post directly above yours. Bake it in orange juice. Do what I did, fracture your skull enough to damage the parietal lobe. If done right you'll never smell again. Warning: If you cannot smell you also will not be able to taste for the most part. To be safe, you could just deep-fry all your fish. Not as healthy, but it will just smell like "fried" to others, especially if you season it well. Fresher fish is your only option imo. That or move to Asia and get used it lol. It doesn't even bother me anymore after living here for so long. Good quality fish, as in fresh fish, shouldn't smell or have a strong odor. Search your apartment for a dead rat, just in case. This. Turn it up on high. If your fish smells fishy it's bad. Throw it away. Squirt some lemon or lime on it before you start cooking it. I find that usually dilutes a lot of the odor. I personally love the smell of fish though.